Redbirds Rising: The Campaign for Illinois State will enable the University to achieve three critical outcomes: educating tomorrow's leaders, graduating globally aware and socially engaged citizens, and sparking continuous creativity and innovation. To advance these objectives, we offer multiple ways to support the Mennonite College of Nursing within our key funding categories. The college has identified four key priorities which are highlighted below. To further explore these objectives, please refer to our Campaign Case Statement. Endowed scholarships, either merit- or need-based, are essential to maintaining our affordability and ability to attract talented students. Nursing faculty are in high demand. Endowed professorships can help the College attract and retain gifted, dedicated faculty to mentor our nursing leaders, pursue innovative research, and lead community health initiatives. State-of-the-art equipment and learning spaces will allow our students to experience realistic health care encounters, and practice high-risk skills in a low-risk environment. Health care is moving out of the hospital and into the community. The College must be able to respond quickly when opportunites arise that can benefit our students and faculty while enhancing our reputation as a leader for healthier communities. Support for the College's annual fund allows us to turn rapid change to our advantage. Make an impact today by investing in Redbirds Rising in the Mennonite College of Nursing. Give to our Strategic Initiative Fund or select a featured program or opportunity below. Contact us to speak to a development officer about other ways to make a difference. 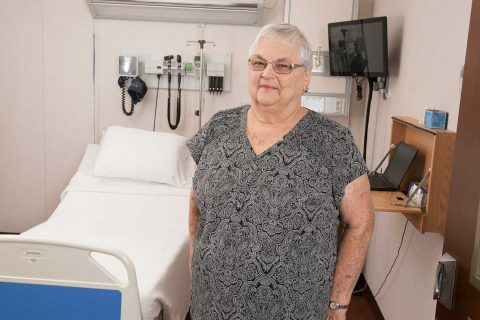 Ruth (Baughman) Oesch ’61 credits her rewarding nursing career to the preparation she received as a student of Mennonite College of Nursing (MCN). She holds equal appreciation for the donor who provided the scholarship funds she needed to pursue her passion. 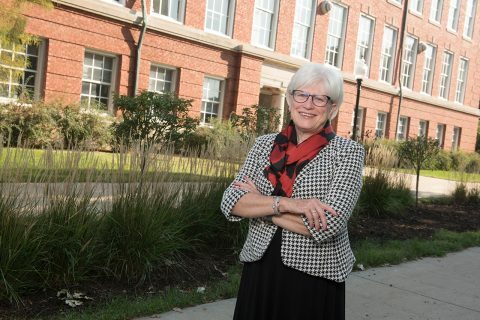 Nancy Froelich exemplifies the Redbirds Rising campaign spirit through her lifelong commitment to giving back to her community. 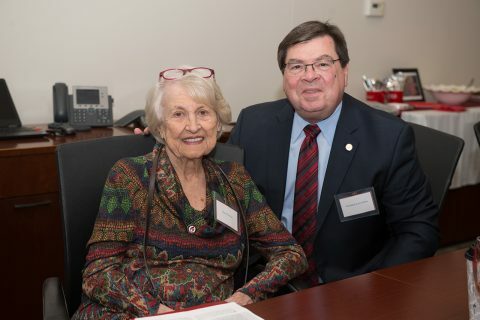 On Tuesday, February 19, 2019, family and ISU faculty and staff honored Froelich’s contributions to Illinois State University, just in time for the 100-year anniversary of Mennonite College of Nursing. Associate Dean Emeritus for Academics for the Mennonite College of Nursing (MCN) Catherine Miller has always had a drive to learn as much as possible. It was this drive to seek out new experiences that led her to Illinois State and to support students.